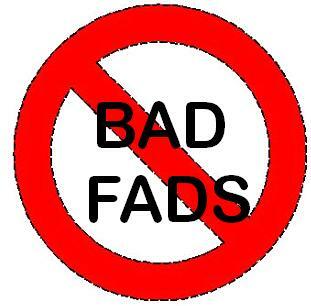 No to bad fad! I am not a slave to technological trends. I don't have the so-called Facebook Addictive Disorder (FAD) wherewith one updates walls, posts comments and give the thumbs up for likes 24/7 from personal computers at home, at work, and even through a mobile phone or other gadgets' WiFi where it is available. Maybe I would if I have those three things available. Even gizmos I own are based on well planned budget which suits my personal needs and not that of what trend dictates. If I like something trendy, I'd surely sweat myself out to get it not because it is hip to have one but because I certainly want and need it. So I say again, no to bad fad!